The practice of intentional faith development gives disciples a network of support, encouragement and direction as we seek to grow in Christ. 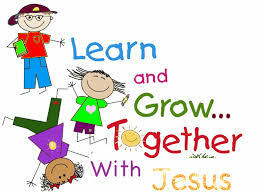 Sunday school classes, Bible studies, choirs and other small groups are really little churches within the bigger church family, and are foundational in forming and keeping a strong church. Learning in community provides accountability for our faith journeys. Every Sunday morning at 9:00 am, classes gather for people of all ages to engage God’s Word together. In addition to the lectionary-based discussion class led by Keith Davis and Peggy Short,there will be additional offering for adults and interested youth. 11/23: Hope, Love, Joy and Peace: How Are We Doing? September Children’s LEARN Time. Each Sunday morning from 9:00-9:45 am, children ages three to fifth grade will explore the wonderful Biblical stories through a rotation of centers. These various approaches are specifically designed to Spark learning, imagination and engagement as the students and their leaders explore the Word through a variety of hands-on experiences. PYG (High School Youth) meets on Sundays, 6:00-7:30 pm in the youth room (upstairs). There is a LEARN time lesson before PYG from 5:00-6:00 pm. 608 (Middle School Youth 6-8th Grade) meets on Wednesdays, 6:08-7:30 pm in 608 room (upstairs. There is a LEARN time lesson from 5:30-6:08 pm. As part of EBPC’s “The Year of the Story,” each youth will be given a binder to create their own story for the year including events, places and activities that influence their life. September's Themes: The Story begins with you…and who else?